I recently had a chance to visit an old friend who moved to Scotland several years ago. He and his wife now have two beautiful children and, as happens in life after kids, our visits now entail more parenting activities than the pub-related kind. One day we went to pick up their seven year old son from his after school program. ws I’m a foreigner) and said in his cool little Scottish accent: “why, it’s a green pepper”. That seemed dubious. Of course, I thought, “that must be the street name for green Twizzlers”. I turned to his dad for clarification. Turns out it was indeed nothing more than a slice of fresh green bell pepper. His dad went on to inform me that the schools provide healthy snacks like fruits and veggies as a way to promote good eating habits — they also give out toothbrushes. I cannot shake the image of that school boy munching on a green pepper. You see, I have my own child on this side of the pond who attends preschool, day care and a number of activities where the kids are routinely offered snacks. But the snacks they get are rarely something that occurs in nature. 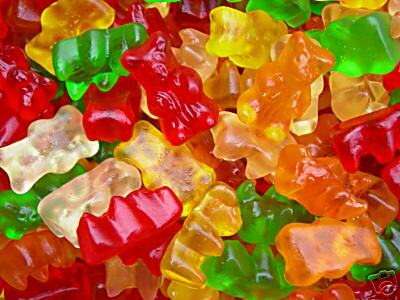 At my daughter’s daycare their “going home” snack is often some colorful gummy candy in a Mylar package. I’ll admit, they’re tasty; but when I questioned the wisdom of feeding little kids candy at 5 or 6 pm just before their over-tired parents drag them home to try to feed them dinner, the reply was “well these have fruit in them“. Indeed the word “fruit” appeared on the front of the package as in “Fruit Flavored Snack” but the ingredient list on the back was void of anything resembling real food — even the fruit flavors were artificial. To their credit, they have since been pulled from the snack rotation. st year Bella took a Saturday morning tumbling class for toddlers. She loved it. All the jumping and running and, well, tumbling. But afterward, the kids were told to gather round for a “treat”. A treat meant to mark an hour spent celebrating the wonders of the human body and promoting the healthfulness of physical activity. The treat? Star-burst fruit-flavored candies! The scene reminded me of those ads in old magazines where tennis players are pictured enjoying a smoke after a match. Made perfect sense, the cigarettes were filtered after all. The tumbling instructors weren’t handing out cigarettes, but the little packets of candy might as well have been smack given the response of the children. They swarmed like little crack addicted lab rats in an experiment gone wrong. They had just learned one of life’s valuable lessons: if you exercise, you should reward yourself with some artificially flavored, high fructose corn syrup based treat. When I gently questioned the instructors about the mixed signals they were sending and suggested some healthier alternatives, they looked at me as if I had just landed on earth and was demanding the kids be forced to drink space juice from a keg on the mother ship. Now that Bella is going to Pre-K there are more snacks in her day. She is only there for two and a half hours in the morning, but all the kids receive a snack. Recently I asked her what she had for a snack. She doesn’t yet know the brand names (which is a good sign that the marketers haven’t yet colonized her brain) but from her description it was a pop tart – with frosting. I love that school, and her teachers are fantastic. They are committed and under appreciated. And they work incredibly hard. But PopTarts? Turns out one in five kids in America live below the poverty line. And many of them experience hunger on a regular basis. So, I understand that for these kids especially, this snack at school is significant. A pop tart is something, and something is better than nothing – but it’s certainly not better than a green pepper. Are pop tarts really the best we can do? What does it say about us that we feed this stuff to our hungriest kids? Why are we so afraid of real food? It is against the rules at many schools (including my daughter’s) to bring in treats made at home – we are required to buy them from a store and they must be in a wrapper. 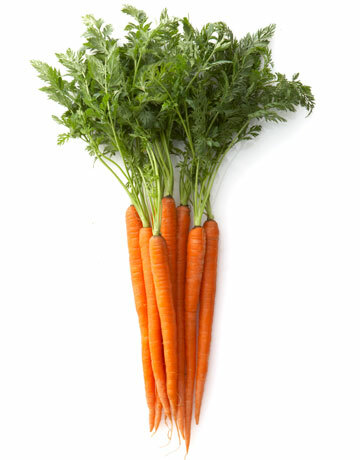 Of course this disqualifies carrot sticks. There is almost certainly an explanation for these policies: food allergies of other children and uncertainty of ingredients in homemade baked goods are two explanations given. Although mildly paranoid, these explanations are plausible but as unsatisfying as gummy bears for dinner. There is a better explanation that involves the interplay between the interests of a very powerful food industry driven to increase sales of its food-like products, politicians who want to support “family farmers” by offering subsidies for the raw materials the food industry uses, and financially strapped schools — whose budgets these same politicians have cut — that can only afford to offer students subsidized food-like snacks. 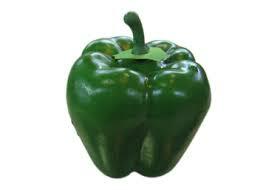 Or, maybe its just because we really, really hate green peppers. The result? We are now producing entire generations of kids won’t eat peaches or pears unless they come in a little plastic cup and are swimming in corn syrup. Who won’t eat vegetables unless they come with dipping sauce. For whom “snack time” means, at its nutritional best, a frosted cracker or at worst, candy masquerading as fruit. And who are being trained to expect these snacks at increasingly frequent intervals. No wonder one in three kids in the U.S. today will end up developing diabetes in their lifetime or that we lead the world in obesity. Now that’s something to munch on. ⟵What If Money Were No Object? This definitely got me thinking because I remember when you mentioned in class that we don’t consume food any more, it’s almost all “food-like” products and people don’t even think about how terrible that is. Especially for children who don’t know any better when it comes to the food that they are given.